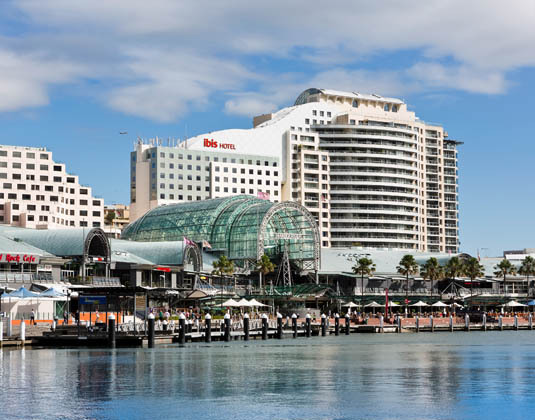 Centrally located in the heart of Darling Harbour, the Ibis is surrounded by an array of tourist attractions, restaurants and bars. With a popular bar and restaurant, the hotel offers great value for money and friendly service. Standard rooms look over the bustling suburb of Pyrmont, however, we highly recommend upgrading your room for views over Darling Harbour. Superior harbour view rooms are recommended for views over Darling Harbour and Sydney city. FREE daily breakfast: On selected dates between Apr-Sep 19 if you stay at least 2 nights.